1 of 14 guides for running re-use workshops. 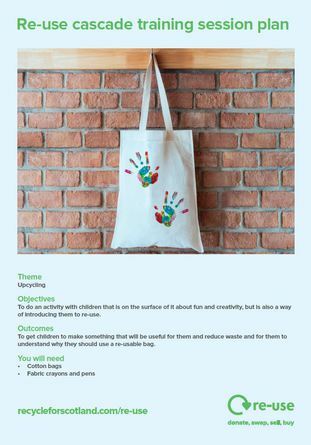 This one is around getting people to make a re-usable shopping bag as a way to talk to them about re-use and not using disposable items. A good one to run with children, but may also work with adults.